Also in February, we took a trip to Itasca, IL (suburban Chicago), where we met individually with the meeting planners for 18 corporate and association accounts at the Connect Chicago trade show event. Also in March, Visit Fairfax hosted a special workshop for our hotels, restaurants, and catering venues eager to book more LGBTQ wedding business. Representatives from Q Virginia Magazine will speak about opportunities to attract bookings from this rapidly-growing market segment. This month will see us in Richmond, VA on our annual spring blitz targeting Virginia state association accounts. Representatives from the Crowne Plaza Dulles Airport and the Hilton McLean Tysons Corner will join us for two full days of sales calls. In May, Visit Fairfax will be at The Homestead in Hot Springs, VA for the Virginia Society of Association Executives (VSAE) annual conference, connecting with meeting planners from dozens of statewide associations. 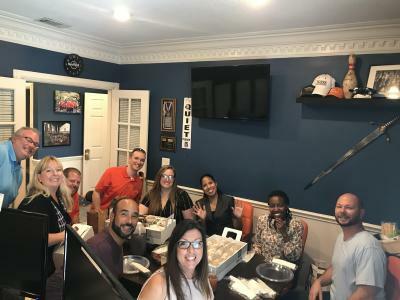 June will take us to Nashville, TN, to meet with more than 30 military reunion planners at The Military Reunion Network’s annual Education Summit. Also in June, we’ll attend the trade show event hosted by Smart Meetings magazine in Washington, DC to meet face-to-face with 20 or more association and corporate planners. The Fairfax County Sports Tourism Task Force, which was formed to better understand the potential economic impact of the $10 billion and growing sports travel industry, issued an interim report with recommendations on how Fairfax County can improve its sports tourism infrastructure. A subcommittee of this Task Force is currently in the process of hiring a consultant to help investigate the feasibility of developing tournament-friendly sports facilities in the county. April 17, 2019: Fairfax County Athletic Council Meeting (Fairfax, VA). The FCAC serves in an advisory capacity to the Fairfax County Board of Supervisors, School Board, and county agencies on matters relating to the use of public sports facilities and the programming of youth/adult sports programs in the county. Meetings take place monthly from 7:30-9 p.m. at the Pennino Building across from the Fairfax County Government Center. May 6-9, 2019: National Association of Sports Commissions (NASC) Sports Symposium in Knoxville, TN. 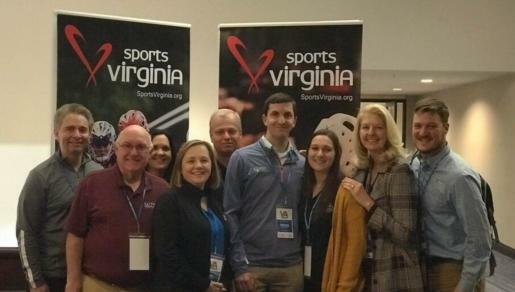 One of the sports travel industry’s largest tradeshows, the NASC Sports Symposium generates lead opportunities through appointments with sports event planners and decision-makers responsible for selecting destinations for state, regional, national, and international events. June 25-27, 2019: Society of Government Meeting Professionals (SGMP) National Education Conference & Expo (NEC) in Detroit, MI. The SGMP NEC is the largest annual event in the government meetings industry. Visit sgmp.org/conference for more information. 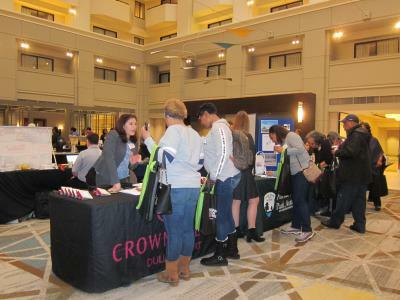 Visit Fairfax’s Linda Horowitz attended the International Inbound Travel Association (IITA) Summit from February 3-6, 2019 in Savannah, Georgia. The summit provided a one-on-one appointment marketplace for inbound tour operators and US Suppliers to plan travel for international visitors. Visit Fairfax attended Active American China from March 26-28,2019 in Anchorage, Alaska. Unlike other marketplaces, this is the only show in North America that is dedicated to growing inbound Chinese tourism. Attending buyers are from key Chinese tour companies that are collectively responsible for over 40% of all tourism to North America. The show will feature three days of pre-set appointments, education sessions and discussion panels. Visit Fairfax will join Capital Region USA on their annual China Sales Mission from April 14 - 20, 2019. This year’s mission spans Beijing, Guangzhou, Shanghai, and Hong Kong, where we will promote the non-stop Cathay Pacific flight from Hong Kong to Washington Dulles International Airport, that began in September 2018. Visit Fairfax will attend IPW in Anaheim, California from June 2-6, 2019. This leading international inbound travel trade show is one of the largest in the US, with buyers from 70+ countries present. We will have pre-scheduled appointments with our top international clients, as well as introduce Fairfax County to many new international tour operators. Visit Fairfax will also have a media presence at this show. Hot off the heels of IPW, Visit Fairfax will be in Cheyenne, Wyoming on June 9-13, 2019 for Travel Alliance Partner’s TAP Dance. This show allows Visit Fairfax to have appointments with tour operator partners to gain insight on the current national tour trends and learn how Visit Fairfax can be of assistance in future tour development. During the National Cherry Blossom Festival, visitors didn’t need to travel farther than Fairfax County to enjoy beautiful trees and many exciting events. Visit Fairfax sponsored activities at several area attractions, including the Workhouse Art Center, Green Spring Gardens, Frying Pan Farm Park, the Children’s Science Center Lab and Meadowlark Botanical Gardens. The Fairfax County Visitor Center hosted a “culture fair” with souvenirs and demonstrations of origami and calligraphy, and also served as a central information point for visitors seeking things to do during the Festival. Fairfax County and several of our great meeting hotels were featured prominently in both the February issue of Smart Meetings and the March issue of Meetings Today magazines. Visit Fairfax has a brand new blog! If you are interested in writing guest blog content or using some of this content on your own website, please contact Ali Morris (amorris@fxva.com). At the end of March, Visit Fairfax hosted six members of the media from various regions in China on a collaborative familiarization tour of the region. The group will be focusing on the continued promotion of the new Cathay Pacific flight into Washington Dulles Airport. This month, members of the Northern Virginia Tourism Partnership will travel to New York, NY, and Toronto, Ontario (Canada) to meet with journalists and other members of the media to pitch storylines related to Northern Virginia. In April, Visit Fairfax hosted a writer from upstate New York on a family-focused, weekend getaway familiarization tour of Fairfax. This connection came about due to Visit Fairfax&apos;s involvement in the Mid-Atlantic Tourism Public Relations Alliance (MATPRA). In May, Visit Fairfax will travel back to Toronto with Virginia Tourism Corporation to meet with operators, agents, and journalists to pitch Fairfax County as a destination to the Ontario market. Tourism week will return the first week of May and Visit Fairfax is excited to launch the Summer of LOVE tour of Fairfax County&apos;s first permanent LOVEworks sign. Stay tuned for more information. In June, Visit Fairfax will attend IPW in Anaheim, CA. IPW is one of the largest travel tradeshows in the world and Visit Fairfax will be sharing information about the county to more than 20 members of the media. We will also have a major sales presence at this show.